Will a feed of posts be available for this group? A group feed is a news feed for your group. All posts to your group will live in this feed and be viewable by any member of the group on the group page. Who can post to the feed? As an admin, you can choose who you would like to have access to post in the group feed. Create a Messaging Room for this Group? 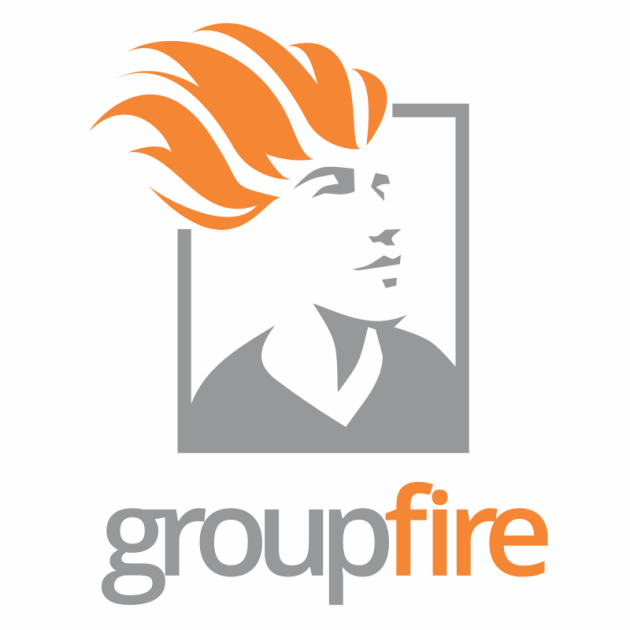 Group Messaging is a group room that you can choose to enable for your group. Group messaging is a great way for members to communicate with each other and with admins. Hide this group from non-members? Groups can be toggled to either be viewed by anyone in the organization or just by members in that group. Who can join this group? 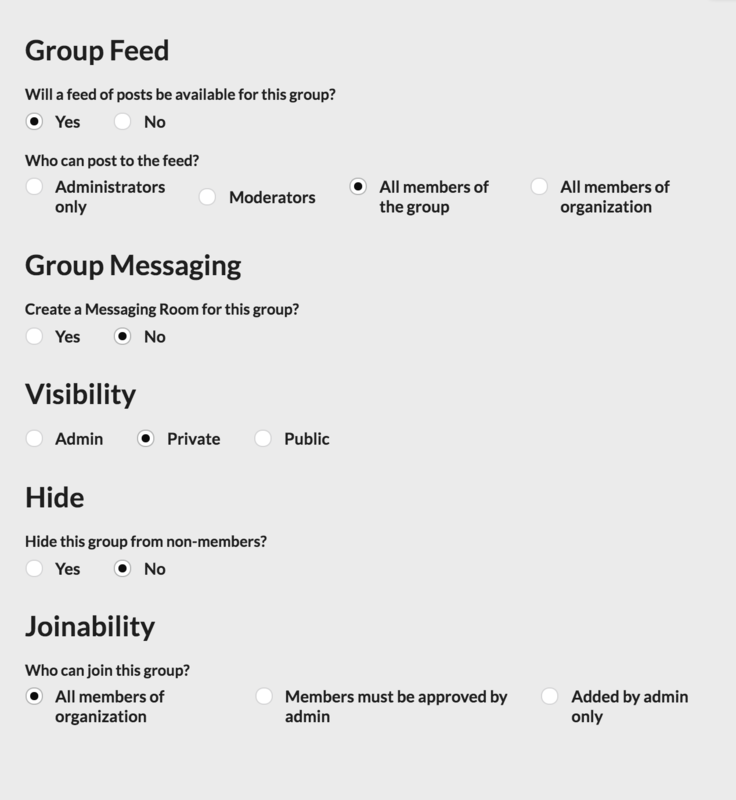 This is where you can choose how members join a group. You have the options to have: members join without approval, members join with admin approval or only have members join when invited my an admin.